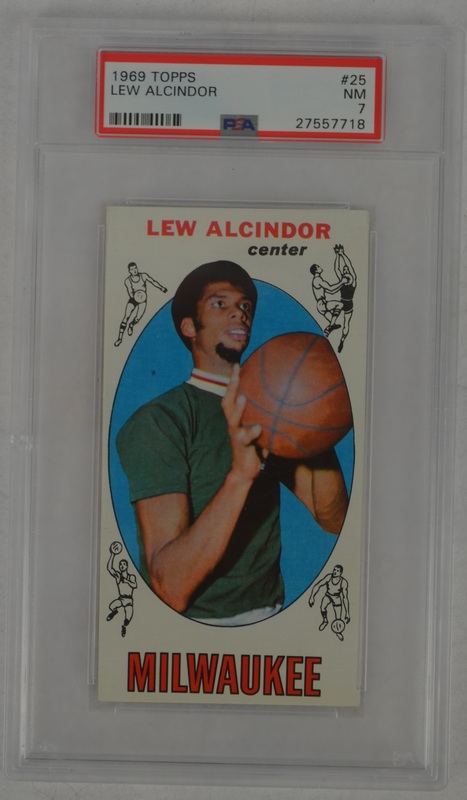 This lot contains the coveted 1969 Topps #25 rookie card of legendary Hall Of Fame center Lew Alcinder (Kareem Abdul Jabbar). 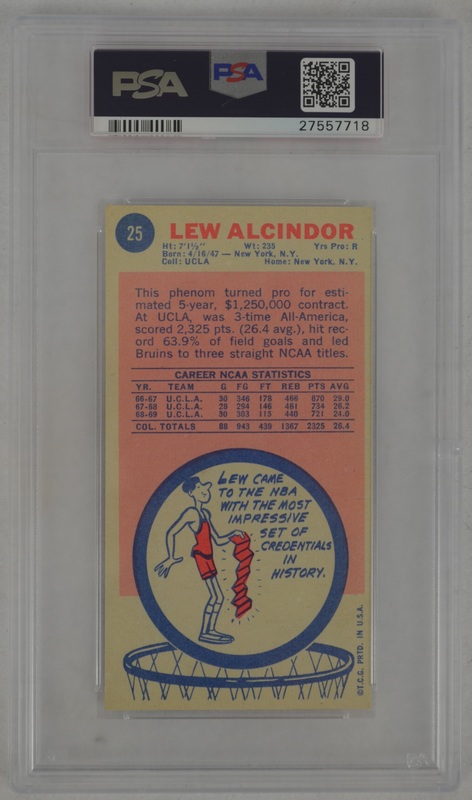 The card has been professionally authenticated and graded in PSA 7 Near Mint condition. Alcindor spent six seasons in Milwaukee. After winning his first NBA championship at age 24 in 1971, he took the Muslim name Kareem Abdul-Jabbar. Using his trademark "skyhook" shot, he established himself as one of the league's top scorers. In 1975, he was traded to the Lakers, with whom he played the last 14 seasons of his career and won five additional NBA championships. Quality card that continues to steadily rise in value and a nice addition to any collection.